Fugen is a small, but classy, ski resort in Tyrol in the Austrian Alps and one of the first settlements in Ziller valley. 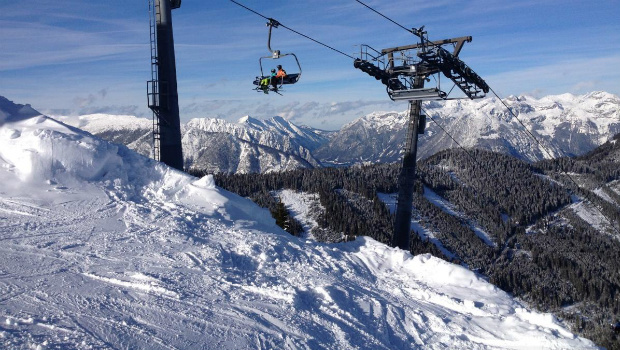 This resort is rounded by massive mountain regions that provide Fugen with 39 ski pistes at all levels of difficulty. There are 177 different ski lifts and ski schools for beginners and children. The two main ski areas are Spieljoch and Hochfügen. Fugen is becoming more and more popular ski destination because of its fast developing. One of the new attractions this period is the new thermal wellness bath where you can have fun and relax at the same time. It is suitable for everyone and it can re-charge the empty batteries by skiing or snowboarding. After the exciting day spent on the slopes, you can also visit some of the bars and restaurants for a delicious traditional meal accompanied by a glass of homemade wine. There are also some discotheques for those who want to continue with the party even in the late hours. This place is peaceful and quiet and because of that, it is the perfect opportunity for family escapes. There are plenty of activities for children such as the toboggan runs. a castle from the mining-owners, so don’t miss to visit it. Fugen is also famous for being the nucleus of the wood industry and manufacturing. The smell of wood can be recognized in every part of the village. In summer, you can hike to the Kellerjoch Mountain or visit Julius Gallery, the highest exhibition mine in Austria. The nearest airport to Fugen is Innsbruck, around 50 km and the journey takes an approximately 1h drive. One way to get from Innsbruck airport to Fugen is by train. First, you will need to organize airport transfer (bus or airport taxi) to the Innsbruck railway station and then catch a train to Fugen. Another, a more convenient and stress-free way is to book a private airport transfer. The private Innsbruck airport transfer to Fugen is a door-to-door service, so the taxi driver will be waiting for you at the airport and take you to the exact address of your accommodation in Fugen. You will need to make an online reservation at least 24 hrs prior to your trip. The Fugen taxi fare is a fixed amount and charged per vehicle, so it is very cost effective ski transfer option when you’re travelling with a larger group of people. According to your needs, you can book a car, van or bus for your airport transfer. © 2019 City Airport Taxis. All rights reserved.